Below is my answer to an email that I received from a Jump Pilot that is looking to transition from a piston to a turbine powered aircraft. After writing it, I felt that I should post it because I thought that it might help other pilots. It is an answer to a question that I get frequently. Thank you for the compliment. I had people help me while I was learning to fly, so I'm just trying to pay it forward. As far as your situation, keep in mind that all pilots get caught in that dilemma of: How to get hired into a turbine or twin when I don't have any turbine or twin time and yet ALL of the companies are asking for at least "25hrs in type" (a number dictated by the insurance companies). For me personally, when I was looking to transition to the Caravan and was getting frustrated with the above mentioned dilemma, an idea came to me. I had recently read an ad for a drop zone that was looking to hire a Caravan pilot. 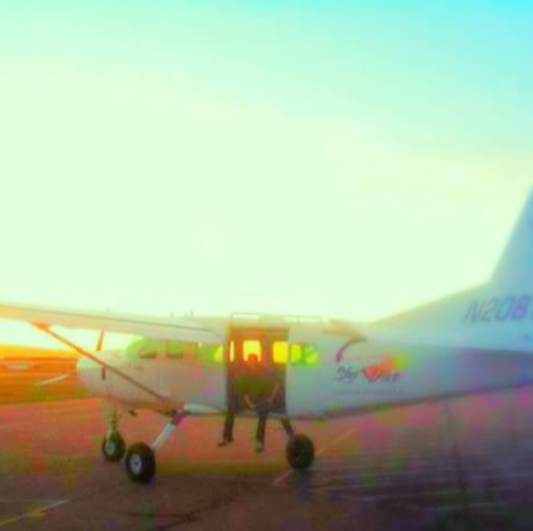 That particular DZ also owned a Cessna 206, a model that I had a few hundred hours of experience flying skydivers in. So I called the owner of the DZ and ran my idea by him hoping that he would agree. I asked him if he would agree to train me to fly his Caravan in exchange for me flying his C206 for his skydiving company for 1 month. He agreed, trained me and actually only made me fly 3 weeks instead of 4. Also, that company smartly maximizes the use of their Caravan via scheduling so I ended up only having to fly the C206 about twenty or so loads. I have friends that have been hired by DZs that own a piston and a turbine and they received paid training in their turbines. Obviously, that is the best type of situation to get into, but it is not always practical for all of us. I am still very happy with my bartering idea to get trained in a larger aircraft and I always recommend it to Jump Pilots that are looking to transition. Although it is a proposition that is more easily accomplished in the Jump Pilot world, I have heard of pilots in other industries using that method. As far as the Flight Safety route, I would not encourage a Jump Pilot that is looking to transition from a piston to a Caravan to pay that $4000 fee. Most of the pilots that utilize those programs are not paying for it with their own money. The companies that hired them are paying for it. Flight Safety is a first class company with great programs but their fees are usually too steep for the average piston Jump Pilot. I hope that I answered your questions but if you have any more, please feel free to ask! I love helping my fellow pilots. New Long Sleeve CaravanPilot.com T-Shirts available! 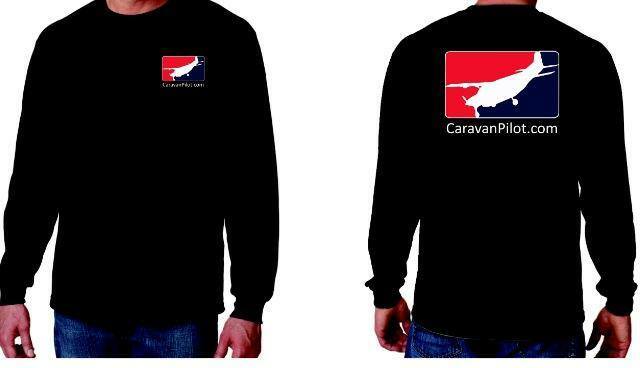 We have new long sleeve t-shirts available from our site, CaravanPilot.com! Copyright Caravan Nation LLC Christopher Rosenfelt. Awesome Inc. theme. Theme images by Ollustrator. Powered by Blogger.